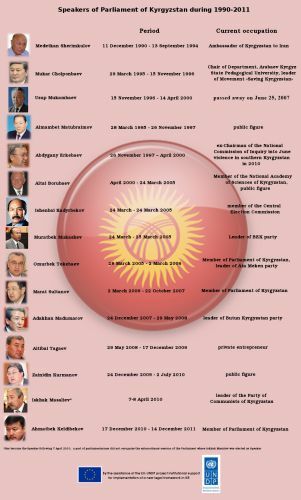 AKIPRESS.COM - The AKIpress news agency offers infographics on ex-Speakers of the Parliament of Kyrgyzstan with assistance of the EU-UNDP project institutional support for implementation of a new legal framework in the Kyrgyz Republic. 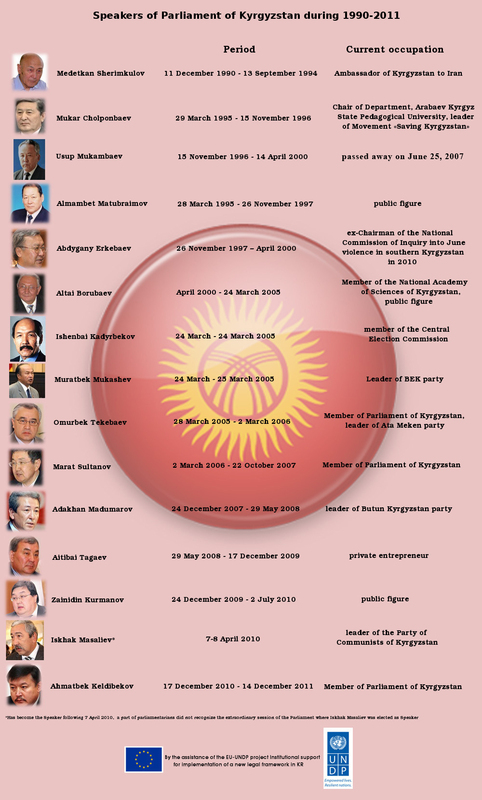 Kyrgyzstan used to have bicameral Parliament during 1995-2005. Since 2005 and until now the Parliament is unicameral.